LVD Builders are a fully insured licensed building company and are also members of the (HIA) Housing Industries Association. The director of the company Luke van Dyck is a third generation builder with years of experience. 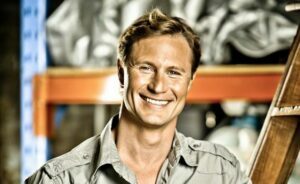 Luke van Dyck also presents at various HIA trade show and home building shows, he is considered a frontrunner in the use of new innovative building materials. LVD Builders specialize in custom new homes, single and second story extensions / renovations and Spectacular hardwood decking. We prefer to only take one project at one time, to ensure that the quality is up to standard and that the homeowner (client) has our full attention to detail. This way the client can have full confidence in the choice of builder as we realise that for most people their new custom home or renovation will be their biggest investment. We believe that constant communication with our clients is of the upmost importance. LVD Builders has just completed a large custom renovation in Collaroy where we received the honour of getting the cover of Look Home Magazine with a six page article detailing the custom renovation; we have also been featured in Home beautiful magazine for the same project, We have been currently nominated for an award for the above project in the category of best new renovation. LVD Industries Pty Ltd has just completed a major renovation for a well known celebrity who was based in LA during the entire project. We have been commended on our communication throughout the six month project. The director Luke Van Dyck personally project managed the site using digital photos, emails and the telephone. This gave the client the opportunity to make any alterations. Our client was able to arrive in Sydney and take up residence immediately. The works consisted of the construction of an entire second storey, downstairs areas completely gutted and re built also the redesign of the landscaped back garden. References are readily available if required.